It’s the holiday season again. Boney M and Mariah Carey (you know what I’m taking about, the shameful CD that you hide and pretend you never bought once upon a 90’s day) is blasting through Clicks. Michael Buble has got another singing x-mas holiday special coming out. Everything smells like coconut tanning oil and those that can, and actually those that shouldn’t really, start wearing their shirts unbuttoned with shorts and flip-flops in the shopping centers shamelessly. AAAh the sweet smell and sounds of summer are here. Even M-Net has got their go-to-summer season song playing on endless adverts at every opportunity. Time to dust off the beach umbrellas, get out those dam silly paddle bat ball things that clog up most of the Clifton beaches available space and get sunburnt. Most that might know me well know that I am a bit of a giddy x-mas fool. I love the lights, the tinsel, decorating a tree or the house or pretty much any available surface I can find all the while singing, “It’s the most wonderful time of the year” on a manic loop. As much as I love all things x-mas related I have always never really connected with the image of x-mas that is projected at us through mainstream media this time of year, mostly (and to state the obvious) because it is unlike any kind of x-mas I have ever experienced. I don’t know what a white X-mas is. There are no sleigh bells in the snow, there’s no snow actually, and the thought of watching all these people huddled around fires wearing turtle necks and wooly socks makes me ill, mostly because we are going through a giant heat wave south of the equator. X-mas time is blindly hot sunshine; the smell of braai’s and family both wanted and unwanted arriving on doorsteps. And of course the beach, I mean just look at these amazing beaches we have in this country http://blueflag.org.za/wessa there is a reason that we are a top holiday destination and its etched in the silky soft white sands and dynamic vegetation that covers our coastlines from point to point. So in the spirit of a South African x-mas filled with all things sun and surf I’ve put together some little tips and tricks for maximising your time spend at the coastline. Every year across this coastline we have deaths related to drowning’s and they are incredibly tragic and can often be avoided if you just do a few simple things. -Parents, watch your kids. I cannot enforce this enough. To many times now I have had to be on the beach watching helplessly as a young child is being given CPR, sometimes with no result. It takes a fraction of a second for the little ones around us to get washed off their feet, even in the smallest of waves, and go under the foam. - If you see that someone is in trouble in the water first up appoint someone as a spotter and then get another person to find/call help. Put the spotter at the best possible vantage point, and they need to point at the person constantly. Don’t loose sight of whoever is in the water; this is so critical for a boat or lifesaver to get some kind of direction to find the person in trouble as quickly as possible. -Rip Tides: If they draw you out to sea, conserve your energy and tread water. They normally dissipate after the backline of the surf, which means you are not going to drift out to the horizon. It’s going to feel worse than what it is. Try and draw attention to yourself by waving your hands, but the main thing here is relax, especially if the water is cold. Once the currant dissipates and even while you are drifting, swim sideways or 90 degrees to the direction you are drifting. You can’t swim against it, and this is where people land up in serious trouble. Once you have slowed down and stopped don’t panic, you are not in the middle of the ocean and you will most likely be able to calmly get back to shore. To not get in this situation in the first place, look out for the lifeguard flags. Those lovely guys are not there to sit around in red shorts looking pretty. They put those flags on the beaches so that you can see what areas are best for bathing and they are there for your safety. Listen to them if they tell you to move. If in doubt, don’t paddle out. -Accidents happen when beginner surfers take their boards and try and surf where lots of small kids or groups of people are swimming. One ill-timed wave and suddenly you have a giant board careening through people's faces at pace. I’ve seen broken teeth and noses from these kinds of things. Be conscious of where you are surfing, especially if you are a beginner and don’t have such great control over your board. Looking cool in the surf is going to drop down a few notches when you axe little jimmy in the nose and there’s blood and angry parents on the shore. -Even when you are swimming or surfing keep an eye out on everyone in the water. Take notice around you, just care a little because when/if something does happen your quick reaction can be the difference between someone drowning or going home to their families safe and sound. -Don’t dive into tidal pools. This is just asking for a spinal injury. -Sunscreen, Sunscreen, Sunscreen. Don’t feel like putting it on? You have been warned. -Choppy, windy waters? Just put down that fun little inflatable dingy you got in your x-mas stocking because there’s a good chance you are not a South African Olympic rower and you could end up drifting out to sea. -Raise the alarm or assist depending on your capabilities. You know what you are capable of; don’t create another person for the rescuer to have to look after if it’s not necessary. -Learn basic CPR, it’s so easy and quick to learn and can save someone’s life. I know, I’ve seen it first hand a few times. 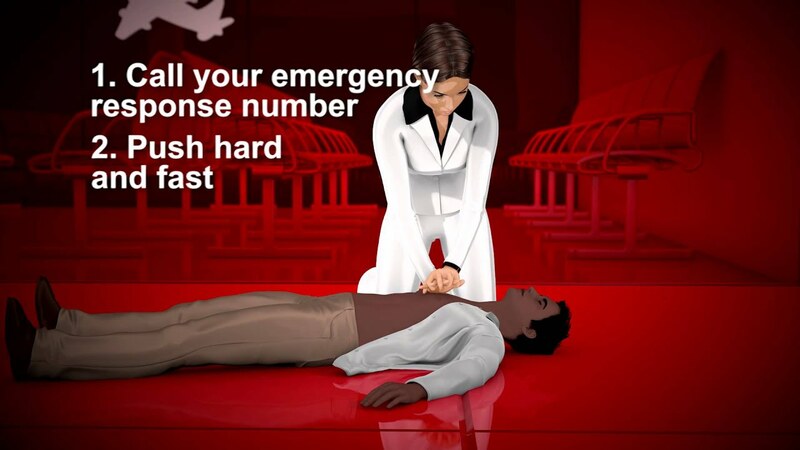 Hands-Only CPR Instructional Video (For English-speakers outside the U.S.) New English Hands-Only CPR instructional video for people living outside the U.S.! You are watching the Hands-Only CPR instructional video from the American Heart Association http://www.international.heart.org/en/resources. Learn the steps of perform Hands-Only CPR in 60 seconds with this video that shows Hands-Only CPR in action. By now anyone who is remotely ocean going might be aware of the Shark Spotters program in the Western Cape. They have those little huts with flags situated at specific beaches across the coastline. Pay attention to them, here is a quick guide to the flags for reference (above) If you hear a siren, don’t go into a blind panic, just quietly swim back to shore- these amazing people are doing what they can to try and keep you safe on your holidays, so don’t dismiss them or their warnings. The NSRI is your first port of call if someone goes missing in the water, be it a swimmer, board rider or boat. Memorize or write down the time, place and direction that you last saw the missing boat/person and then phone them asap. They also have a handy app if you are out on the sea boating and run into trouble called SAfeTrx. It works by having certain details of the trip you are taking at sea logged into the app and then if something happens you can hit an emergency button and an emergency contact will be called. They can then call the Maritime Rescue Co-Ordination Centre (MRCC) who will have your trip data over a server (which sends your location to their servers periodically anyway) allowing the NSRI to get to you. 112 - National Emergency from your cell phone. -Clean up after yourself. Don’t leave a giant mound of mess behind you because it’s incredibly damaging to our amazing environment that we have and really you can be better than that. If there are not dustbins at the beach, or they are overflowing, bag it and take it home. -Decant your drinks into anything that is not glass if you can. Ideally I would love everyone to only use reusable glass because it’s better for the environment and for our oceans, but you also don’t want to be that guy/girl who shatters glass all over the parking lot or on the beach sand so that the rest of us have to spend our holidays pulling out shards of glass bottle from our bleeding feet. Try using a water bottle, or anything that you can use again instead of buying mounds of plastic containers. -I love music. You love music to I bet. But I might not like what you like, and here we need some mutual human respect. Don’t play your soundbox or cell phone at full tilt. Just wear headphones or I’m going to have to strategically kick sand on you. -Our sweet little four legged friends need to be on leashes. Never mind that on certain beaches if you are caught without your dog on a leash you face a very nice hefty fine. The beaches are going to be full and as much as you love fido, not everyone else wants a wet, hairy canine crashing through their neatly setup beach party. And don’t even make me tell you to pick up any mess after you. -If you are going to smoke, be a nice person and do it down wind or around the corner from the rest of the population. Just because you smoke doesn’t mean everyone around you has to as well. -Man don’t you just love playing sports on the beach? Yay for you. But for god’s sake, can you and your super selves please not demarcate your rugby field to include the rest of us who are also using the beach for normal activities, like sitting on a towel and eating sandwiches. Unless you are Victor Matfield with your top off I don’t want you and your tennis/rugby/cricket/soccer ball crashing through everyone each time you miss. -Shake that sandy beach towel downwind you heathen. Right, so now at least after reading this you are going to be leaving for that perfect day out in the sun with hopefully a few more tools than when you started. Have a wonderful time soaking in some sand and sea everyone.